Kris Burton is a degree level tutor who has a wealth of industry experience from his time working at one of the UK’s biggest music industry institutions, Abbey Road Studios, where he enjoyed six years of working with some of the best artists and studio gear on the planet. Kris has also worked with the global dance phenomenon Underworld, assisting on new material and digitizing classic albums from the bands archive. Add to this his work on major release feature films, the acclaimed Live from Abbey Road TV show, his own DJ performance work and you soon understand what a powerhouse of experience Kris is. 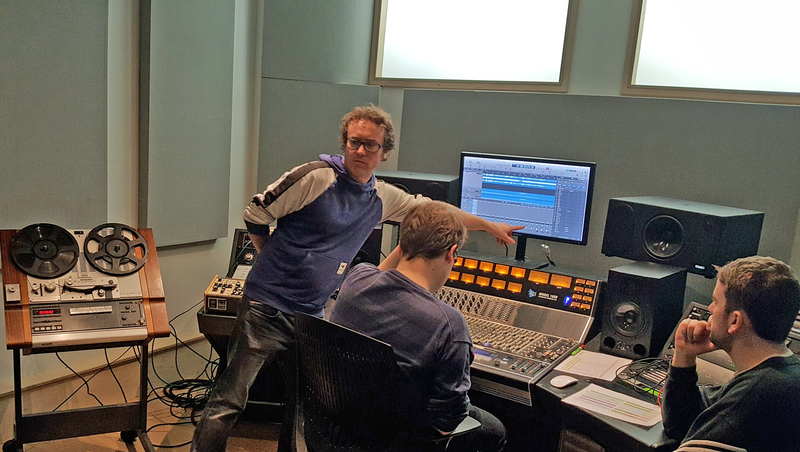 Our students at dBs Music Bristol love Kris's passion for big studio workflows and their modern integration with contemporary music, plus his teaching of recording to tape and other classic recording methods always keeps tutorials and practical lessons exciting. Discover the Music Production & Sound Engineering degree at dBs Music and find out more about how our tutors and facilities at dBs Music can help you fulfil your potential.